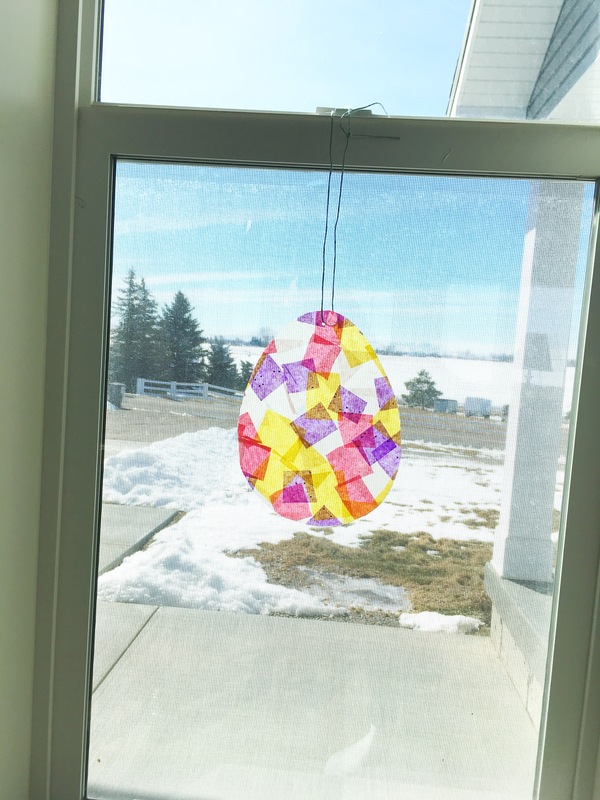 I made the cutest Easter Egg Sun Catcher with my son the other day. We have it hanging up in our window right now and I love seeing the bright colors of it every day. 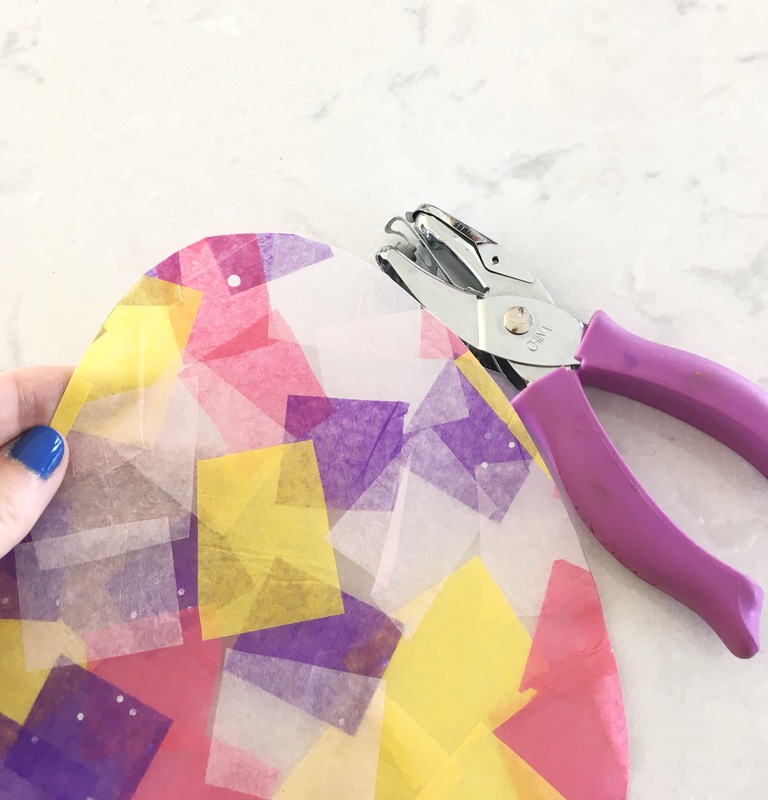 This project is so easy and I just used items I already had around the house. I LOVE when that happens! 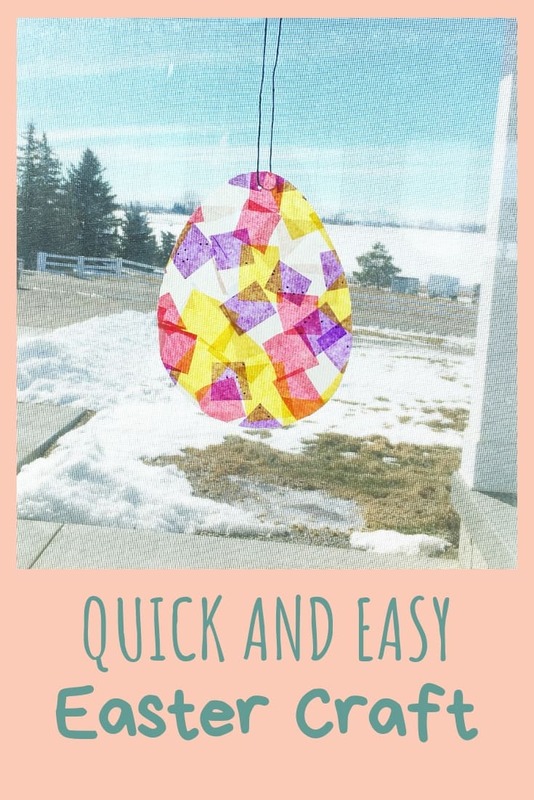 The colors of the egg can easily be customized using any of your favorite colors. 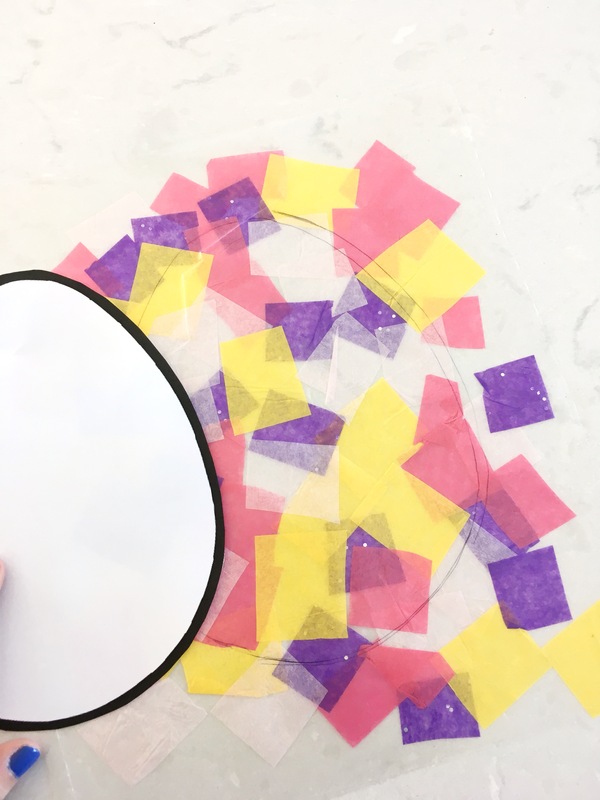 I did this craft with my preschooler, but it would also be great for a toddler to help them practice fine motor skills! 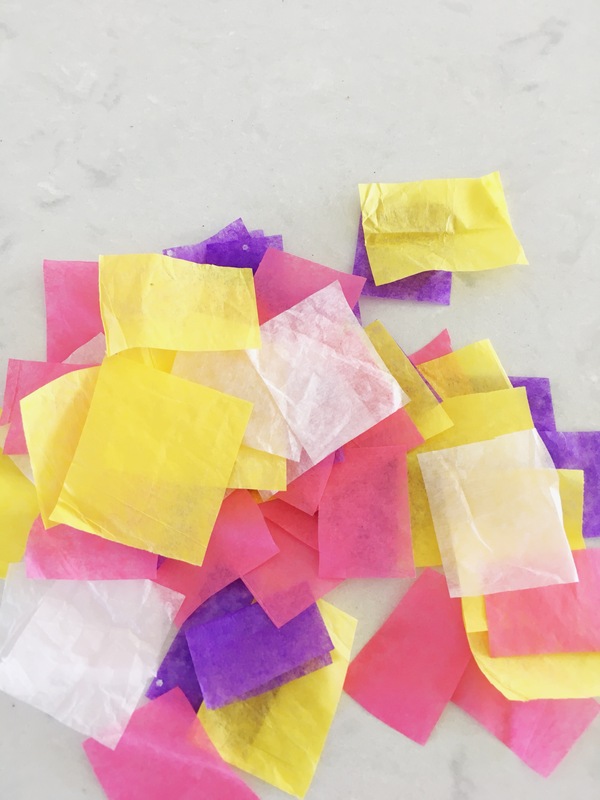 Tissue Paper: I just grabbed all my spring colors from the tissue paper I already had at home. You can find some for cheap at the Dollar Tree. 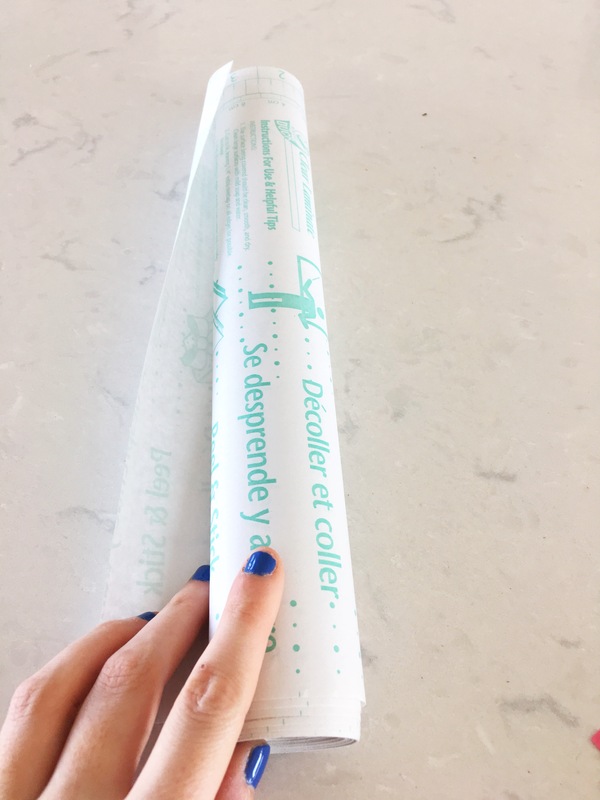 Contact Paper: One roll of contact paper will last a long time and is fun for laminating things by hand or other fun little craft projects. 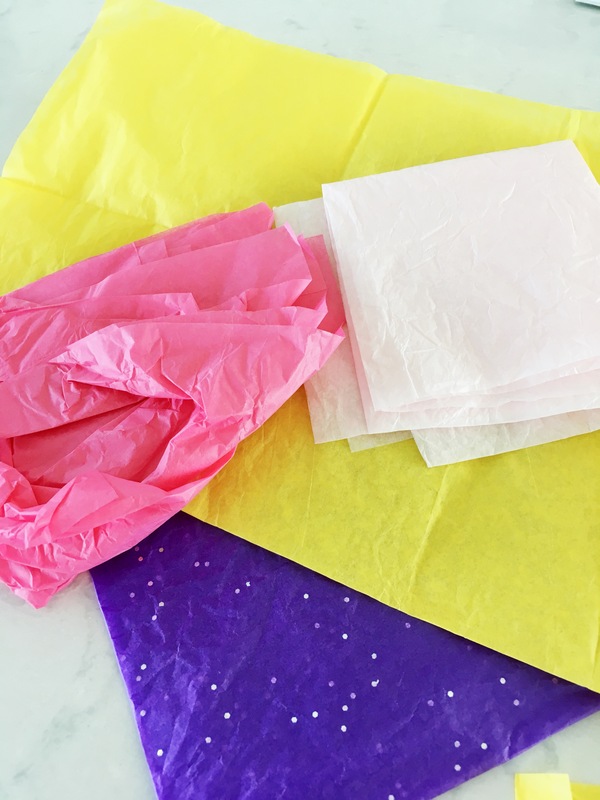 Cut squares out of your tissue paper. I didn’t use very much from each color, it will just depend on how many and how big you are making your egg. After you have a nice pile of tissue paper squares it’s time to get your contact paper ready. 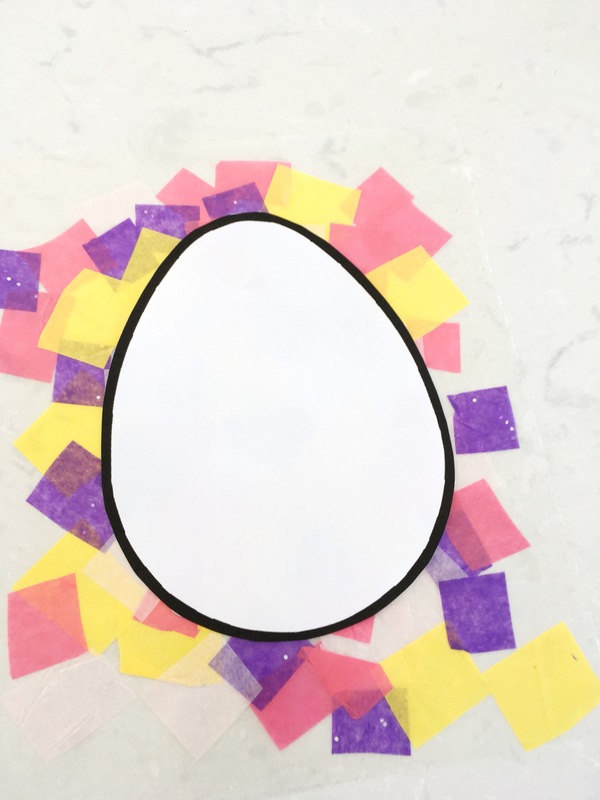 I cut two pieces of contact paper both large enough for our egg. Set one of the contact pieces aside and pull off the backing of the other piece and lay it sticky side up on the counter top. 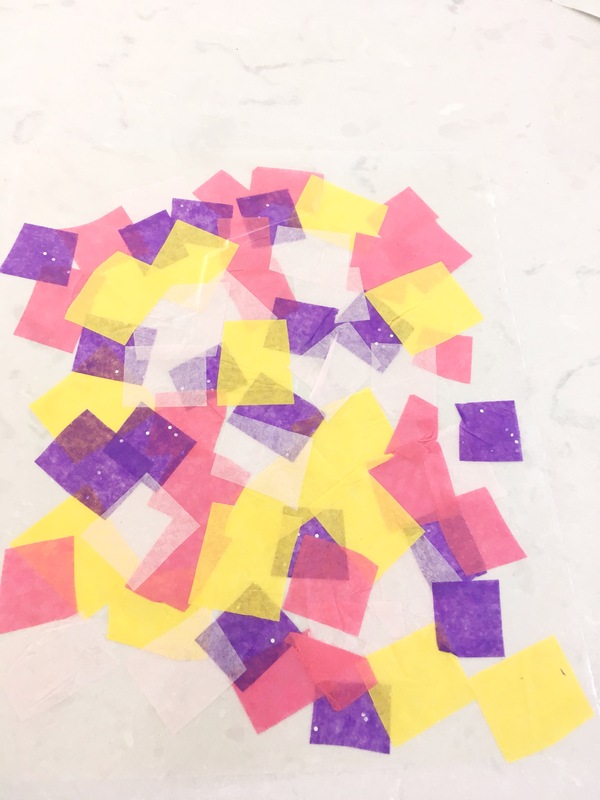 My son then started placing the tissue paper all over the contact paper, making sure to overlap and fill all the holes. 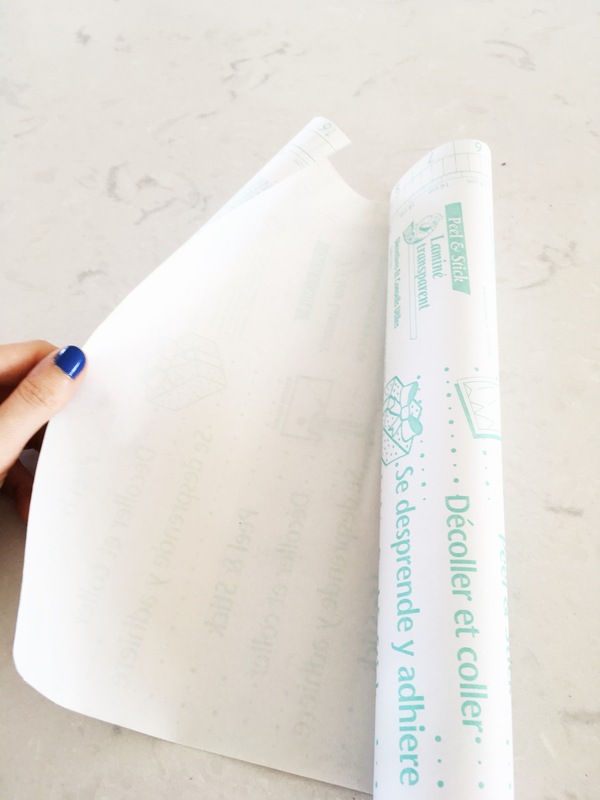 Once you have your contact paper covered with the tissue paper you will need pull off the backing of your second sheet of contact paper. 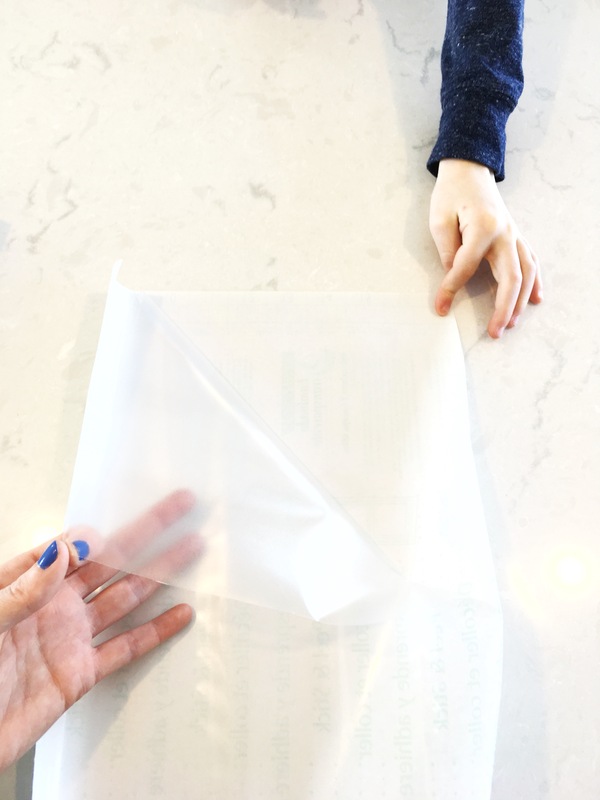 Carefully lay the two contact sheets together with both sticky side on the tissue paper. I printed an egg template off my computer just from clip art. 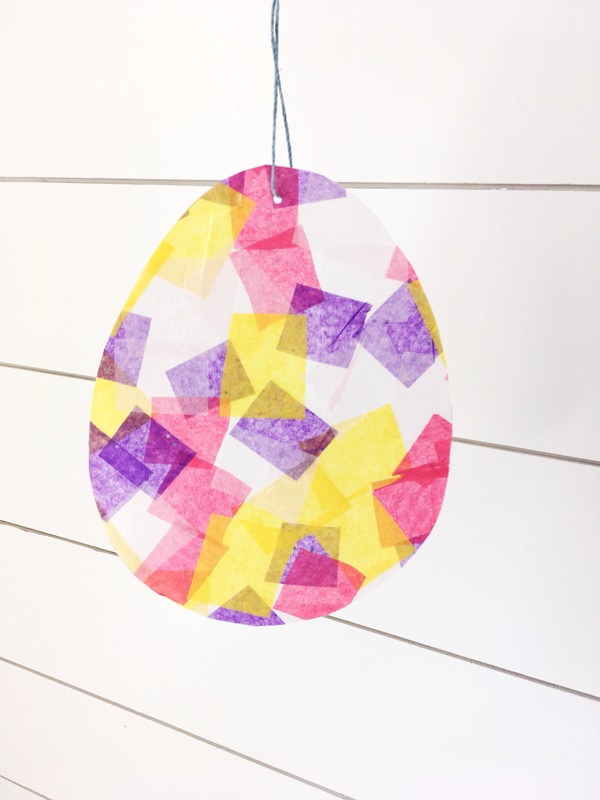 I traced the egg onto the contact paper and then cut along the tracing. Once the egg is cut out you can use your hole punch to poke a hole in the top of the egg. 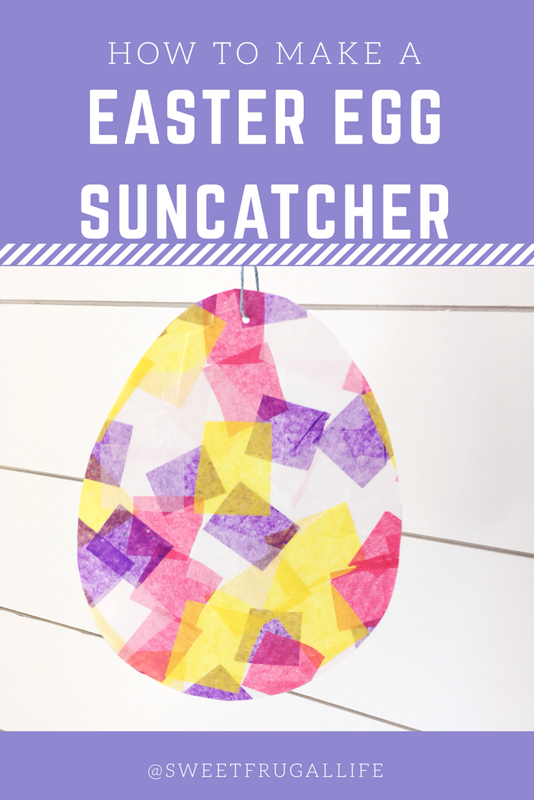 Loop your string through the hole and your Easter Egg Sun Catcher is ready to hang in your window! 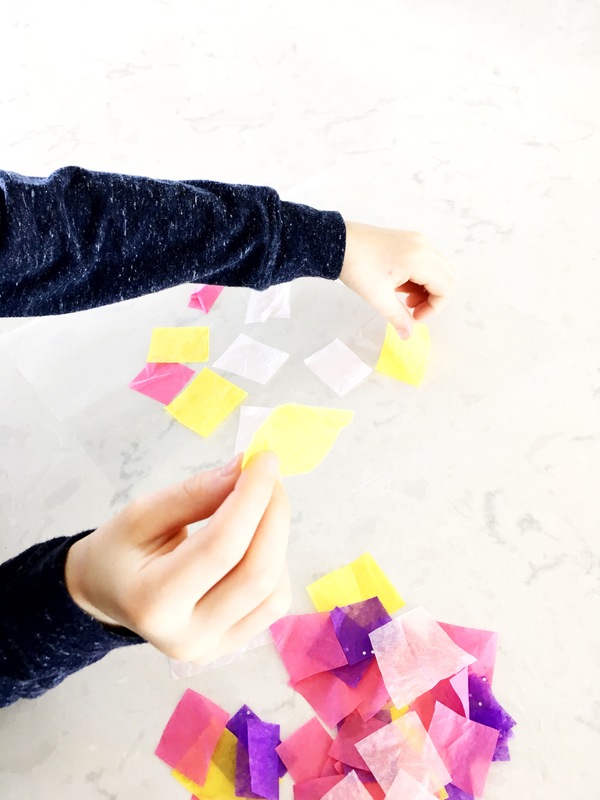 My son has a short attention span so he loves doing these quick and easy projects with me. Now if only the snow would melt and then spring would really be here! Thank you so much! 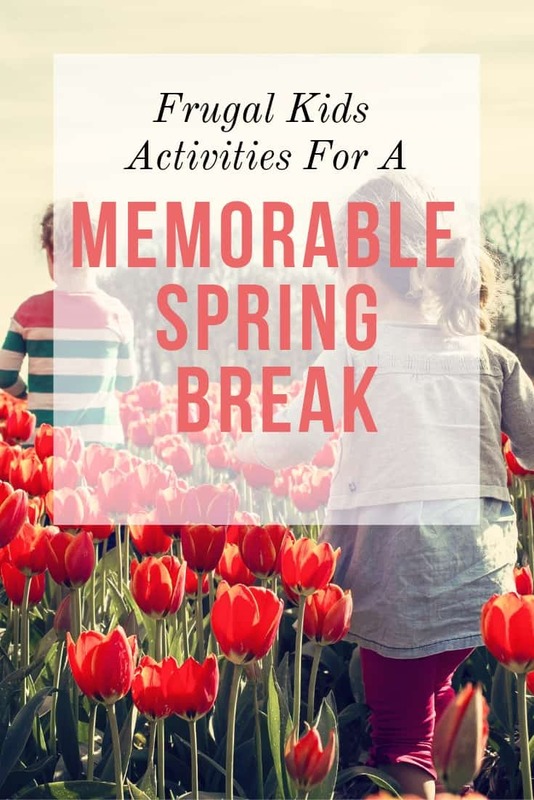 I’ve been looking for some unique activities to do with my kids for Easter, especially with the sun beaming as much as it is now. I’ll definitely be trying this! This is a great craft that even my 2 year old can make! 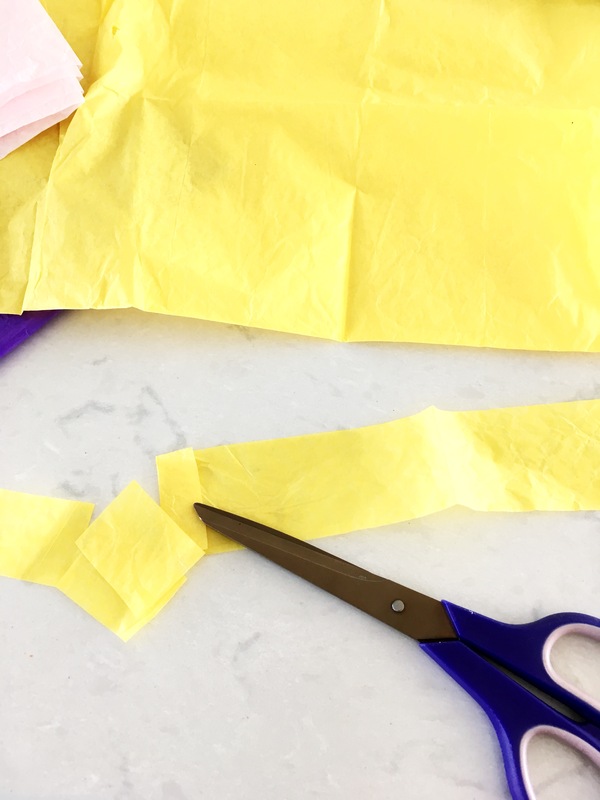 I would just love to know how you cut that tissue paper with scissors. I tried and failed. haha. Haha! Oh no! I must have gotten lucky because it cut really easily for me! 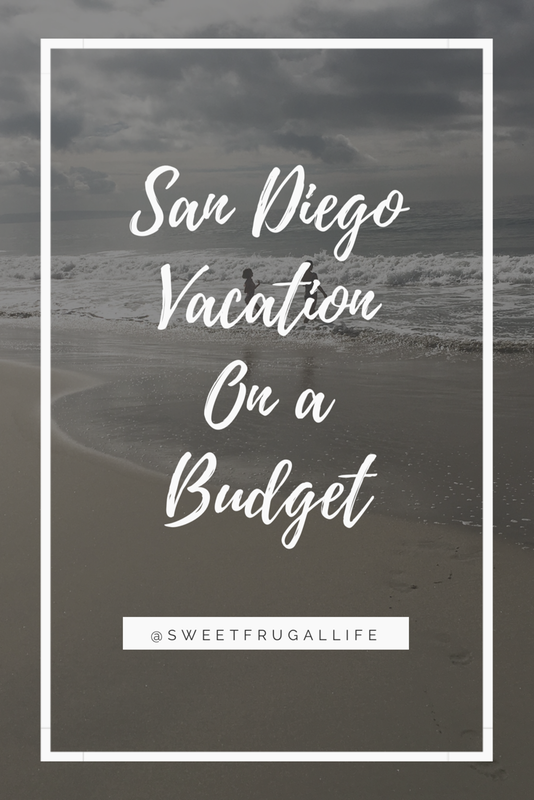 This is so cute, easy, and Frugal! I’m SO makjngbghis with my kids!! Thanks!